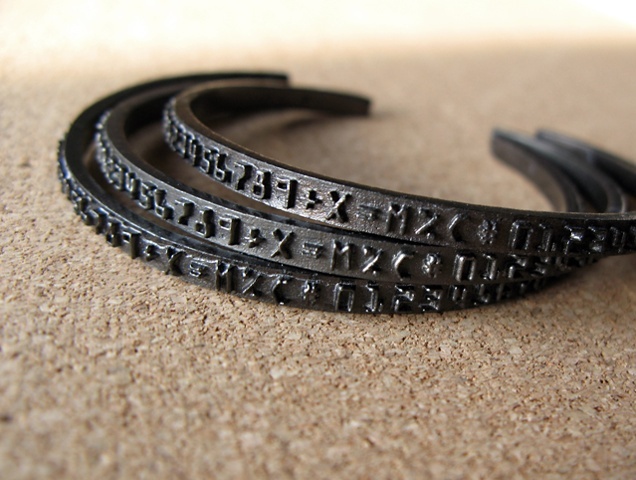 Adjustable, number band cuffs, inspired by vintage receipt printing ribbon. Cuffs are cast in brass and black rhodium plated. Mix & match with other colors. Great for men too.